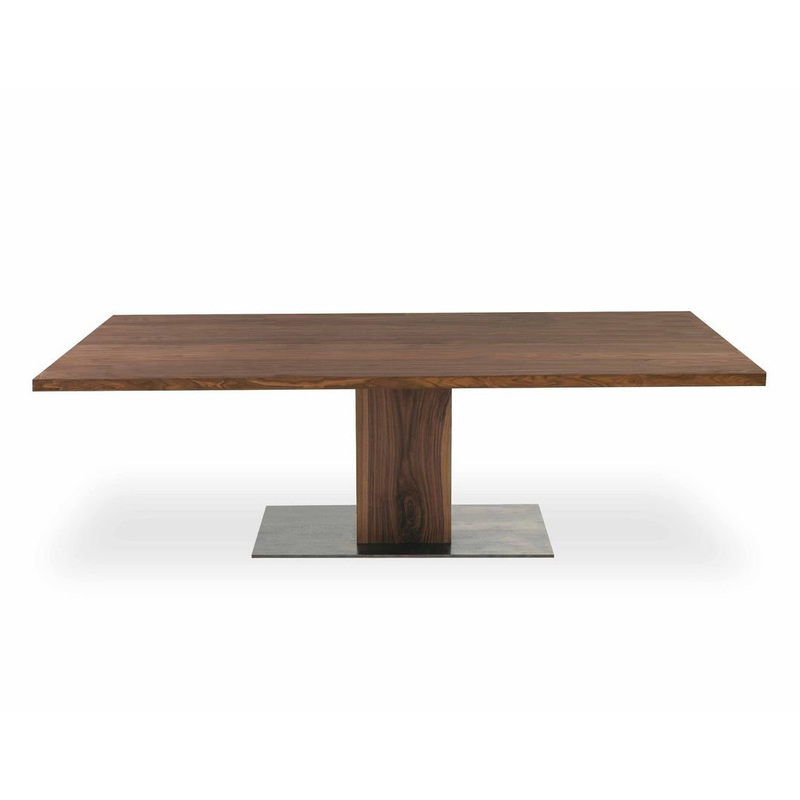 Table made entirely in solid wood, available in oval, square and rectangular shapes. The legs are composed of boards assembled together with or without an iron base. Finish: base of oil / natural wax of vegetable origin with pine extracts.